With 7,107 tropical islands, the Philippines has so much to offer to the beach lover. 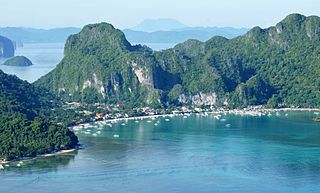 Many of its islands are constantly being chosen by prestigious travel magazines and bloggers as the best in the world. Even though islands such as Palawan and Boracay get most of the attention, but there are many other, underappreciated islands, which are just as beautiful. Read our guide to learn more about the most beautiful beaches in the world, and start planning your next beach vacation. What are you looking for? A secluded strip of white sand where you can spend a couple of nights on a budget, or a beach with high-end amenities where you can lie back and sip a cold cocktail while watching the sunset? Either way, you’ll find out that a perfect beach experience is waiting for you here in the Philippines. The packages above are good for long vacations, but if you’re looking for a short escape from Manila, or a hassle free holiday in just one place, we will do it for you. Choose any of the destinations described below and we’ll make the best package according to your time and budget. Many choose to visit the Philippines for their honeymoon or romantic vacation, and they’re right to do so. The amount of scenic islands and coasts, the low prices, and the high standard of amenities and service, are only some some of the reasons that make this country’s islands ideal for romance. El Nido : Constantly named the best island in the world. El Nido is nothing but spectacular, with towering limestone cliff dropping straight into the ocean, crystal clear water, and pure white sand beaches. The resorts here are of very high standards, making it popular with honeymooners. 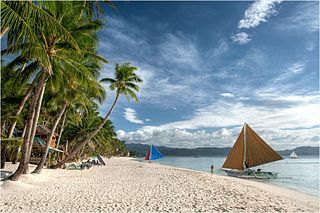 Bohol : Panglao Island in Bohol has a beautiful white sand beach called Alona, and some of the country’s finest resorts. Bohol has a very relaxed atmosphere that will get anyone accustomed to the island lifestyle, and some of the best dive sites in the world. Many choose to come to Bohol for a short period of time, as it is very accessible – a two hours trip from Manila and you’re already on the beach. Mactan : This island which also hosts the airport of Cebu City is very famous for its beaches and resorts. Mactan is perfect for a luxurious high-end vacation. It has some of Cebu Island best 5 star beach resorts for an affordable price. The high standards and the proximity to the airport make Mactan a perfect quick escape from Manila or any other airport town in the Philippines. Even though Manila is right by the ocean, there is no beach worthy of your time. Nonetheless, there are many great spots for a quick beach vacation nearby. In two to three hours you can find yourself checking into a resort in Zambales or Batangas. Going a little further than that you can get all the way to Puerto Galera without too much of a hassle. If you’re looking for a great beach experience that is not too far away from the city, this section is just for you. You can easily have a vacation on a budget, or book your stay in a luxurious beach resort. The way you want to conduct your vacation is really up to you. Contact us so we can start planning your getaway from Manila and personalize it according to your needs. Laiya : Three hours away from Manila, the province of Batangas is home to many famous beaches. Laiya is the most known one, with pure white sand, it is sometimes compared to Boracay, and is the go to beach for the rich of Manila. Nagsubu : Also in Batangas, and second only to Laiya. This area’s shoreline is exquisite, with many beaches to choose from. It is very developed with several 5 star hotels to choose from. You can also easily get away from the crowds by staying on the fronting Fortune Island. Puerto Galera : Before there was “Boracay”, there was Puerto Galera. Just a short ferry ride from Batangas Pier, you can reach one of the best beaches around the capital. You can choose between Sabang and White Beach, one is very attractive for its nightlife and the other has pristine white sand (hence the name White Beach) and relaxed atmosphere. Zambales : Subic Bay is a very popular destination for locals. It is a very nice destination by itself but the beaches of Batangas and Puerto Galera are better. Nagsasa, Anawangin and Talisayen are three wonderful beaches near the town of San Antonio, and are popular camping sites with no proper resorts. 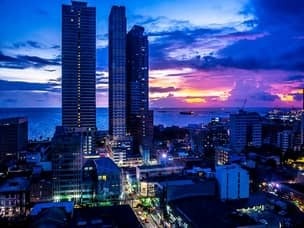 The Philippines is very far away from the party scene of countries like Thailand, and probably it will never match it. Most of the islands in the Philippines are very relaxed and quiet, with a small local party scene. Boracay however is a different story altogether, as there are beach parties going on from sunset to sunrise every day of the week. Boracay has a very wide selection of hotels and resorts, ranging from budget to 5 star hotels. The high competition brings the price down, especially for high-end accommodation, so if you want an all inclusive resort, that’s the right place to do so. But in Boracay there is a place for everyone, even for the budget travelers and backpackers, so you’ll always find a fun crowd made of all kind of people. Beside of having arguably one of the most beautiful white sand beaches in the world, there is so much to do on this small island. It offers excellent diving, kite-surfing and many other activities you won’t find elsewhere in the Philippines. Helmet diving, parasailing, wake boarding and water skiing are just examples of the things waiting for you there. Sometimes the best adventures are hard to find, and require going off the beaten path. There are many beaches in the Philippines that are a lot less accessible and developed, but that doesn’t mean they are not worth a visit. These beaches are just as beautiful, and a lot cheaper too. More often than not it’s just a matter of time before these hidden gems get discovered by tourists and lose their charm. You’ll compromise the selection and standards of resorts and restaurants, as well as the nightlife. There will probably be less activities offered, so other than island hopping, snorkeling and diving you will have to entertain yourself. For many people it’s actually an advantage as these places tend to be more genuine with the natural environment still intact, and the peace and quiet is a wanted quality of a beach vacation. Pagudpud : Located in Ilocos Norte this place has two very stunning white beaches, Saud and Blue Lagoon, and is often called “the Boracay of the north”. It’s quite a drive from Manila – it takes between 10-12 hours (night bus), but can be done with a flight to Laoag, or combined with other destinations in Northern Philippines. It is also one of the best surf spots in Luzon, from October to April. Siragao : Another great island that’s becoming very popular recently. Also known as the surfing capital of the Philippines. Besides, it’s also known for its beaches that are almost private (as the majority of the people are busy surfing), and the great island hopping tours. Naked Island is on that tour as well, and is just a bare island made of sand floating in the middle of the ocean – a truly unique sight to see. Coron : This town in Palawan has no beach of itself. But a short boat ride away and you’ll get to the most beautiful beaches you’ve ever seen: Banul, Beach 91, CYC and more. Other than that Coron has many lagoons and lakes, and some of the world’s best dive sites. Would you like your Ideal Beach vacation to be short or long? Would you like it to be luxurious or casual? With the selection of beaches we operate, we’ll can make the best package to meet your standards. Contact us for booking and for free advice. If you want to learn more about what the Philippines have to offer you, check out our featured tours. you can combine a beach vacation with other elements like diving, ecotourism, partying in the city, hiking in nature and more. Just contact us, and we’ll be glad to help you have the best tropical holiday you can dream of. Can you send me a quotation for a hotel and tour package for Camiguin and Siquijor for 4D/3N stay? I’m going to choose between those 2 destinations from June 21-24. Sure, you’ll get a mail later today!